Sapphire Condominium is one of the newest towers along the area of Fort Lauderdale Central Beach. Sapphire Condominium owners recieve services much like that of any 5 star resort. The beautiful contemporay towers and entrance are located along A1A between Sunrise and Oakland Park Boulevard, the area which is graced by the only beach front single family homes in Fort Lauderdale. It is sincerely one of the most beautiful spots to appreciate the beach lifestyle of Fort Lauderdale Condo living. With prices starting above $500,000 Sapphire Condos still represent a great value in new construction Fort Lauderdale Condominiums and is one of most successful, well managed, newer Fort Lauderdale Condos along Fort Lauderdale Beach. Sapphire Condominium offers both incredible ocean and downtown Fort Lauderdale views. This Fort Lauderdale Condominium is just a short walk from the beach, numerous restaurants and a water taxi stop. Sapphire has truely turned into one of the landmark condos of Fort Lauderdale Beach. The two contemporary towers of the Sapphire Condomnium feature blue glass and a crisp modern architecture. 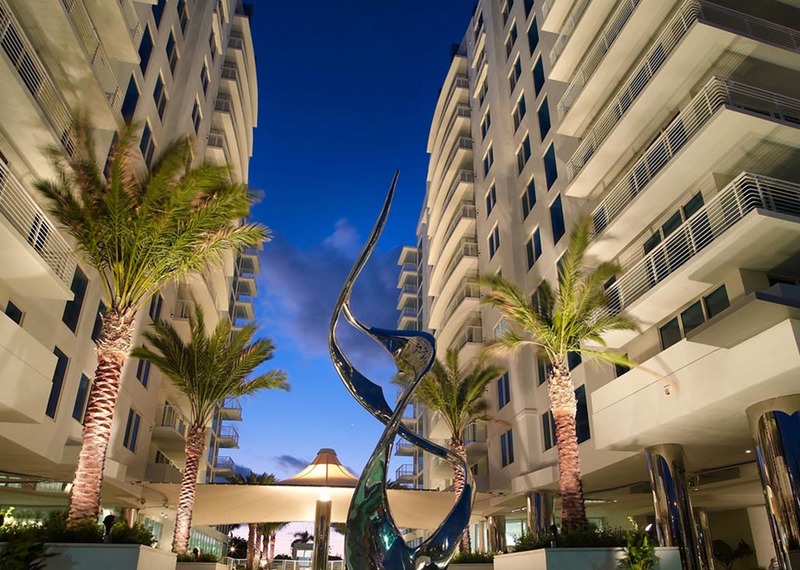 Throughout the property exceptional quality and modern luxuries are the theme as Sapphire Condos is all about style along Fort Lauderdale beach. From the private balconies of the Sapphire Condo, all impact glass, full size washer and dryer in each condo, wiring systems for internet, telephone and cable, modern, European kitchens with stainless steel appliances, granite countertops, luxurious marble bathrooms and European design, Sapphire Condo is all about a Fort Lauderdale Condominium that is a tribute to the beach lifestyle. Sapphire Condominium owners receive a membership to the Harbor Beach Marriott Resort right on the sand which is a 16 acre oceanfront beach resort with a 22,000 square foot spa, 8,000 square foot pool, private cabanas, three restaurants and much more. Live the oceanfront, resort lifestyle that you have always dreamed of with the best pricing on Fort Lauderdale beach today, and have the bonus of being a club member at the Marriott Harbor Beach Spa. Read more about Sapphire - "A Brilliant Life style on Fort Lauderdale Beach". Ready to take a look at Sapphire and work with a team that can help you find the perfect Fort Lauderdale Condos for Sale. Sapphire Fort Lauderdale is worth seeing and the Fort Lauderdale Realtors at Eric Miller and Associates - Keller Williams Realty Fort Lauderdale are here to help. 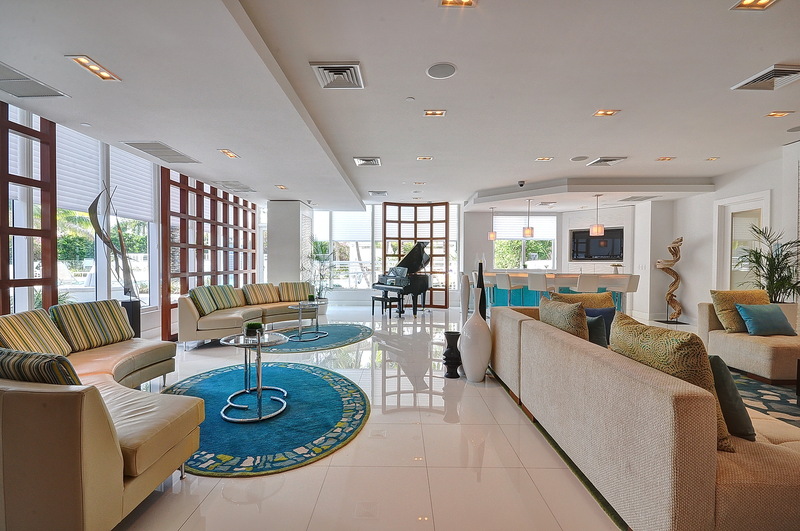 Let us set up appointments to see Sapphire Condos for Sale, Contact us directly at (954) 383-8170. Return to our Fort Lauderdale Condo Guide to search addition area condominiums ! At Eric Miller and Associates, "We're here to help" with your next Sapphire Condominium purchase or sale. Contact us directly at (954) 383-8170.